The performance of an investment strategy can be measured using a series of basic financial metrics. These industry-standard metrics allow investors to assess both the quality of returns, as well as the amount of risk, that a particular strategy has delivered. 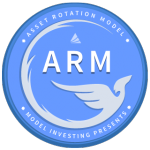 We’ve summarized these performance metrics for our Asset Rotation Model (ARM) in the table below. However, unless you happen to be a particularly savvy investor, there’s a good chance you have no idea what all these numbers mean. Not to worry, in this section we’ll break down each of these metrics so that you can get a better understanding of the ARM’s true capabilities. The compound annual return is the rate of return that an investment strategy has achieved over time. It represents the cumulative effect of a series of gains and losses on an original amount of capital. In the chart below, you can see that the ARM has delivered a substantially higher compound annual return than stocks (as measured by the S&P 500), bonds (as measured by the Barclays Aggregate Bond Index), as well as a blended portfolio containing both stocks and bonds. The reason for the ARM’s outperformance stems from the fact that it invests the entire portfolio in either stocks OR bonds at any given time, but not both. During economic expansions, stocks will vastly outperform bonds, while bonds will act as a performance drag. This dynamic reverses during recessions; however, when bonds outperform and stocks tend to suffer. By investing in sync with the business cycle and being more tactical with its portfolio, the ARM takes full advantage of what current market conditions have to offer. Not only has the ARM vastly outperformed both stocks and bonds from a total return perspective, it has done so while exposing the portfolio to less risk. We can see this by examining the three primary metrics that are used to quantify risk: standard deviation, maximum drawdown, and beta. Standard deviation is the most common measure of risk used in the financial industry. It measures the variability of returns over time. The lower the standard deviation, the more consistent the returns are, and therefore the more “safe” a particular strategy is. A higher standard deviation, on the other hand, implies that returns fluctuate wildly from one year to the next. In this chart we can see that the ARM experiences approximately half the volatility, or risk, of a portfolio of stocks. The ARM does exhibit more volatility than bonds, as well as a blended portfolio, but that is to be expected and is commensurate with the ARM’s high returns. What’s notable here is that while the volatility of the ARM is not much higher than that of a blended portfolio, the returns are nearly double … those are the types of trade-offs we like! Now let’s dig a little deeper and take a look at how high levels of volatility can translate into big losses. Maximum drawdown is one of the more intuitive ways to measure risk. It looks at the biggest peak-to-trough decline that an investment strategy has ever experienced. It should come as no surprise that the smaller the maximum drawdown, the better. We can see maximum drawdowns for the ARM and our other portfolios in the chart below. Notice that stocks, as measured by the S&P 500, have experienced drawdowns in excess of 50%. This has actually occurred twice over the last two decades, during the dot-com collapse and again during the financial crisis. The ARM, on the other hand, was able to recognize deteriorating conditions during these treacherous periods and moved the entire portfolio to bonds and cash. As a result, the most the ARM has ever fallen from peak-to-trough is 15.3%. That’s a smaller magnitude decline than even the blended portfolio. This chart presents one of the most compelling arguments for using the Asset Rotation Model. At this point you should be able to recognize that the ARM allows you to participate in more upside than a 100% stock portfolio can deliver, but also be exposed to significantly less downside risk. Now let’s take a look at our last measure of risk: beta. Beta measures the volatility of an investment strategy relative to the S&P 500. A beta of 1 implies the same level of volatility as the S&P 500, while a beta less than 1 implies less risk, and a beta greater than 1 implies more risk. Once again, we can see in the chart below that market risk for the ARM is significantly lower than that of stocks, and comparable to that of a blended portfolio. In this chart, SPY represents the S&P 500, so it has a beta of 1. The Asset Rotation Model has a beta of 0.41, which means it’s only 41% as volatile as a portfolio of stocks. Using this particular method for assessing risk, we can also see that the ARM’s volatility with respect to the S&P 500 is about equal to that of a blended portfolio (0.37). At this point you may have noticed that bonds have much less risk than any of the other portfolios here. This is to be expected because generally speaking, bonds tend to provide lower returns over time. Bonds also share a slight inverse correlation with stocks, which is why you see a negative beta in the chart above. 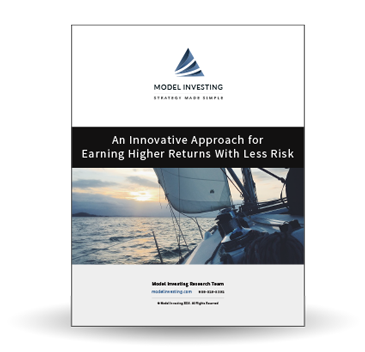 Now that we’ve covered the metrics that identify both risk (standard deviation, maximum drawdown and beta) as well as returns (compound annual return), we can combine these measures to get a better understanding of risk-adjusted returns. This is considered the holy grail of investing because it represents how efficiently capital is deployed … Anyone can increase returns by taking on more risk, but great investment strategies deliver high returns while taking less risk. The Sharpe ratio is the industry standard method for measuring risk-adjusted returns. It looks at the excess return earned in relation to the standard deviation (or volatility) of those returns. With Sharpe ratios, a higher number reflects greater risk-adjusted returns (a good thing). Here we can see that the ARM is able to deliver substantially higher risk-adjusted returns than both the stock and blended portfolios. A portfolio consisting of only bonds is able to obtain a higher Sharpe ratio than the ARM, but again, the trade-off here is lower overall returns (8.39% for the ARM vs. 4.60% for AGG). When it comes to deciding how to invest, Shape ratios are an extremely important consideration because they demonstrate the true effectiveness of an investment strategy. Just make sure to view the Sharpe ratio in the context of the actual returns provided. The Sortino ratio is another measure of risk-adjusted returns that is very similar to the Sharpe ratio. However, instead of comparing returns against the total volatility of a portfolio, it compares returns against only the downside volatility (or risk). The assumption here is that volatility to the upside (higher than expected returns) is a good thing, and therefore shouldn’t be penalized. As with the Sharpe ratio, higher values here represent more effective use of capital. Once again, we can see that the ARM is able to generate significantly higher returns per unit of risk than stocks, or a blended portfolio of stocks and bonds. The relative outperformance here is more substantial than with the Sharpe ratio because of the fact that upside volatility is not penalized. This means that a significant portion of the ARM’s volatility comes from better than expected returns, as opposed to worse than expected returns. The same can be said of AGG; however, as we already discussed, the issue with maintaining a portfolio comprised of only bonds is the low overall returns. The last measure of risk-adjusted returns that we’ll look at is called the Treynor ratio, and like the previous two metrics we examined, higher values are better. In this case, the measure of risk used is beta. So we’re looking at the excess returns achieved with regard to overall volatility in relation to the S&P 500. As you can see, the message here is the same. The ARM has significantly outperformed both stocks as well as a blended portfolio. In case you’re wondering why bonds have a negative value here, it’s because the Treynor ratio looks at excess returns in relation to beta, and AGG has a negative beta. For our purposes, you can pretend it’s a positive value, which would then indicate the same relative outperformance we saw in the last two charts. At this point the only metric we haven’t discussed is Alpha. Alpha is defined as the excess return earned above a specific benchmark (in this case, the S&P 500). What alpha attempts to do is answer the question: If an investment strategy experiences the same volatility (risk) as the S&P 500, how much additional return would have been earned above what the S&P 500 delivered? In other words, did the investment strategy add value to what would have otherwise been achieved by simply investing in an S&P 500 index fund? Due to the nature alpha, it does not make sense to calculate a value for fixed income funds such as AGG. In addition, since SPY is itself an S&P 500 index fund, it will have an alpha of zero. We can see the alpha values for the ARM, as well as the blended portfolio below. What this chart shows is actually quite eye-opening if you understand the data. It tells us that if the ARM had experienced the same amount of volatility as the S&P 500 (recall that it had a beta of 0.41, meaning it only experienced 41% of the volatility of the S&P 500), it would have earned an extra 5.16% per year above what the S&P 500 delivered. That’s an awful lot of outperformance. In comparison, if the volatility of the blended portfolio were scaled up to match that of the S&P 500, it would have earned just 1.45% more per year than the index. That’s certainly a more effective use of capital, but it still lags substantially behind the ARM. When it comes to understanding the effectiveness of an investment strategy, the metrics we’ve outlined here are critical because they offer a complete picture of overall performance. Rather than focusing only on returns, as most investment managers do, we’ve lifted up our proverbial skirt to show you the risk that is inherent in our strategy as well. As a secondary benefit, this performance data also provides you with everything you would need to compare the ARM against other strategies in an apples to apples manner. By taking the time to dig deeper into the ARM’s historical performance, we hope you’ve come away with a greater sense of why we believe it to be the best way for those investing outside the confines of an employer sponsored retirement plan to manage their accounts. The information provided here is for informational purposes only. 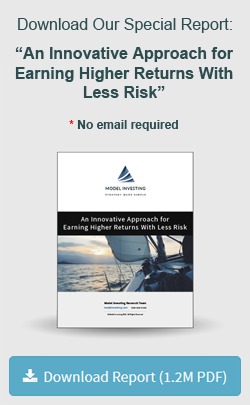 Model returns do not reflect any management fees, transaction costs or expenses. Investing involves a great deal of risk, including the loss of all or a portion of your investment. Nothing contained herein should be construed as a warranty of investment results. Past performance is not an indication of future results. All risks, losses and costs associated with investing, including total loss of principal, are your responsibility. Model Investing maintains positions in the funds discussed within this site according to model recommendations.